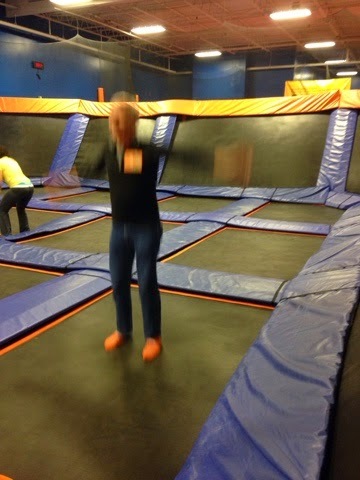 Wearing special orange socks, here I am on a trampoline jumping while granddaughter Avery was doing the same in another square. Daughter in-law Manina and 8 month old granddaughter Norah are looking on. Each day this week in the am the 4 of us headed out to playgrounds for some adventures. 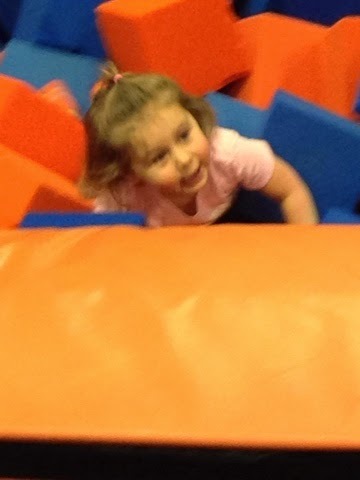 Today was different going to a Jump place for toddler time. Here Avery jumped in to the foam square pit from the adjacent trampoline. The phone camera in low light requires the shutter to stay open a bit longer to allow enough light in this making the image blury was we were moving. 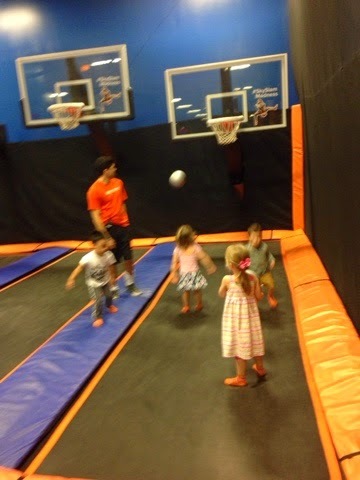 Here Avery is trying her hand at trampoline basketball. This evening was a night out with Brent to a pub venue in nearby Columbia, Maryland. The first player was guitar player Mili of Steelheart. He is the second from the right. He plays a 12 string guitar like no other and can still belt out the songs hitting volume and notes that not many guys his age can do. It was very entertaining and solid rock. 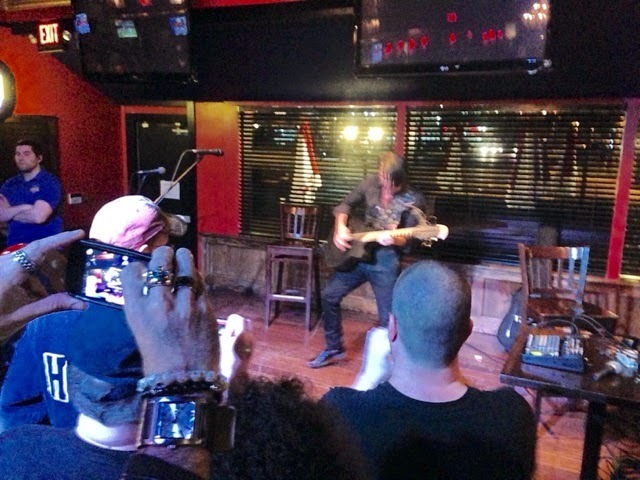 Here he is playing to the crowd. "Steelheart is a band fronted by Miljenko Matijevic. Mili’s powerful voice and multi-octave range has become the heart and soul of the band. Although they began as a Hair/Metal band in the early 90s, Mili has recently reformed the band and turned it away from the glam scene. Steelheart's new sound is modern and edgy while still retaining overtones of Miljenko Matijevic's roots. Writing, producing, Matijevic has Fused his past, present and the future together, creating an undeniable piece of art . 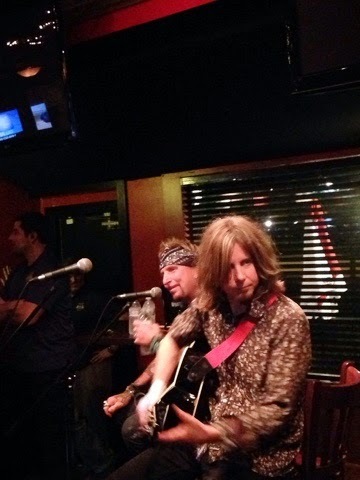 “A modern day led Zeppelin” (Mitch Lafon BW&BK)." 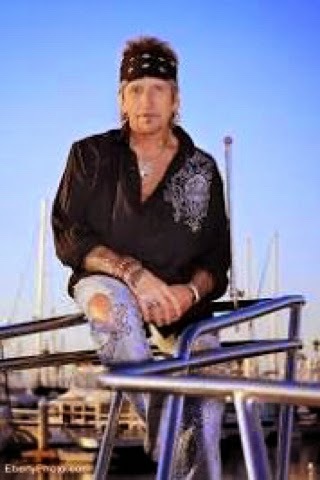 Next up was Jack Russell from Jack Russell's Great White seen above. Jack is not part of the Great White band now having broken off from them. He played a mix of his new music along with fan favorites, as well as 1980's rock classics. Jack can be seen here singing songs that fit well with his higher voice. His guitarist is very good as well. It was a late night having to get up early in the am to drive home on my last day of my 2015 Travels tomorrow. It was an excellent time tonight in a small venue to see some great talent and hear some great tunes with Brent 2. It was a great visit, thanks for coming!